Leonard (Len) Coughlan passed peacefully away surrounded by his loving family on January 14, 2019 at Pleasantview Towers. Predeceased by his parents Charlotte and William Coughlan, brothers Frank, Bob, Bill, Ed, sisters Margaret Hill, Helen French, parents-in-law Fred and Lucy Cole. Leaving with wonderful memories his devoted wife Elizabeth (Betty) (nee Cole), children Len (Michele), Kathy (David Murphy), and Geoff (Elizabeth). Grandchildren Zac, Matthew, Ben, Lucy, and William Coughlan and Jenna, Jane, and Connor Murphy. Many nieces and nephews, other relatives and dear friends. Len worked for Imperial Oil Ltd. for 37 years in Newfoundland and Atlantic Canada. 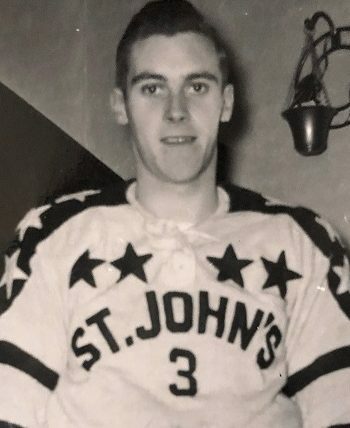 A NL Hockey Hall of Famer, Len was a well-known all-around athlete during the 1950s and represented the City of St. John’s and St. Bon’s teams in many sporting events. He was an avid hunter and fisherman and shared many fun times with family and friends at his country place in Deer Park. Cremation has taken place. Relatives and friends may visit the family at Carnell’s Funeral Home, 329 Freshwater Road on Wednesday, January 16th from 7 – 9 pm and Thursday, January 17th from 2 – 4 pm and 7 – 9 pm. Funeral Service will take at St. Pius X Church on Friday, January 18, 2019 at 9:30 am with interment to follow. The family would like to thank the staff of Pleasantview Towers 3 SW for the compassionate care provided to Len. In lieu of flowers, donations in Len’s memory may be made to St. Bonaventure’s College Bursary Program. So very sorry to hear of your dads passing. So sorry to hear of your father’s passing. Our sincere condolences go out to your family at this difficult time. Betty and family, sorry to hear of Len’s passing. Thinking of you during this sad and difficult time. Mrs. Coughlan & family, My father, Ed Noseworthy, worked with Mr. Coughlan at Imperial Oil for all those years and considered him a great friend. I also remember him well. I am so sorry to hear of his passing. He’s gone to join the Imperial Oil outing on the other side. He is in my thoughts and prayers. I am so sorry to hear of Len’s passing, I will always remember him and the good old days. I wish to send along our deepest condolences to you and your family. Dear Betty and family – I am very sorry to hear the news of Len’s passing. Even though we didn’t spend a lot of time together, I knew him to be a kind, genuine man and a beloved brother to my grandfather, Bill Coughlan. He will be missed. Betty and the Coughlan family, Sorry to hear of Len’s passing Sending our condolences and thinking of you. Do take care. I check The Telegram online regularly to keep up to date on the news in my beloved St. John”s. I was sad to learn about the passing of Mr Coughlan. I met him only a couple of times but his pride in his family was evident. I am thinking of you. Take care. Our deepest condolences to you on Len’s passing. Our thoughts and prayers are with you at this difficult time. I am sad to hear the news that Uncle Len has passed away. I have many happy memories of him. Especially from the time that Mary Beth and I were stranded in St John’s due to the airline strike and stayed st your place. Uncle Len was so reassuring and jovial it transformed our worry into exciting adventure. Kathy my heart and prayers go out to you and your family. Betty and family, Our sincere condolences on the passing of Len. He was a fine man and while he has suffered greatly in his latter years we still know he will be missed by all. May he now rest in peace. God Bless. Heaven is a better place with the addition of Uncle Len. I’m sure Frank will have a cold Black Horse waitin for him at the Gates. I am sadden that I won’t be able to attend his celebration of life with Auntie Betty, Len Jr., Geoff, Kathy and their familes. I just want to share a couple of stories that have touched me and help to mold me as a person.The first speckle trout I ever caught was on the Hodgewater Line and the first salmon I ever seen caught was on the Salmonier Line both were with Len Sr.and Jr. and every time i flick the bobber out at the cabin I think of him .The Coughlan and O’Grady families traveled to P.E.I. together in the late sixties and early seventies even when the Coughlans moved from Pine Bud Ave. to Halifax. for SR’s Esso work commitments. Those times were so special to our families. When Len Jr. and I started our own families he drove from St.John’s and we drove from Barrie to keep the tradition alive in P.E.I. and our kids keep in touch today on various social medias…One year we BLESSED to have Len and Bet and Frank and Lou join Len and Mitch, Murph and Kathy and Becky and me with all our children in P.E.I. Three generations hanging out together.That still ranks as one of the best vacations for me of all time. Most people that didn’t personally know Uncle Len were well aware of his athletic career, Hockey Hall of Fame Newfoundland just to name one. But the people who had the privilege to know him know what kind of a man he was.. A loving husband, father, grandfather, uncle, and friend.. One time Uncle Len was traveling to Toronto for work for Esso. I was in Barrie and he invited me down to Toronto stay with him at the Royal York, go to Maple Leaf Gardens for the game and dinner at the Private Leaf Alumni restaurant ,The Hot Stove Lounge,It was such a thrill for me seeing retired heros of mine, not so much Len as he was a Hawk fan.The point of the story is …I remember that night so much , while walking to the game in the dead of winter,Uncle Len took the time to stop and talk to the many homeless people pan handling. He was sincere ,kind and thoughtful.He showed compassion and gave them a sense of dignity and before leaving he discreetly handed them a bill. Uncle Len will be missed by all who made his acquaintance but we are all thankful for the time we shared with him. I could go on and on easily spinning yarns about Uncle Len as it such an easy topic for me but I will sign off by saying Thank you for being a big part of my life…Rest in Peace ,,I LOVE YOU and AUNT BETTY. Deepest sympathies to the Coughlan family on Len’s passing. He was a great man and a wonderful friend to my parents throughout the years. I have fond memories of the many times Len and Betty would visit us and the fun and laughter we all shared together. Our thoughts and prayers are with you all. Kathy, Jane and family: Deepest sympathy on the passing of your dad/granddad from all your friends at Special Olympics Mount Pearl. Auntie Betty, Leonard, Kathy, Geoff and families, I am so sorry to hear about the great loss of Uncle Len. 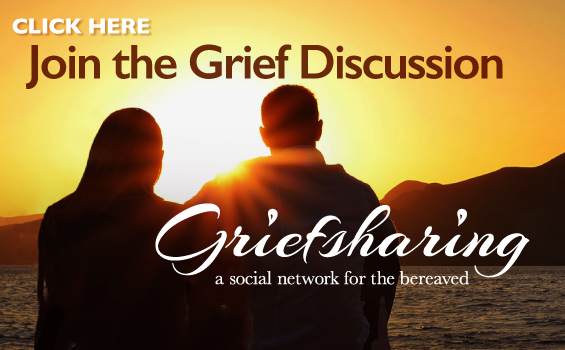 My thoughts are with all of you as you navigate through such a difficult time. Rest peacefully, Mr. Couglan. My condolences to all the family. I know how much he meant to you. 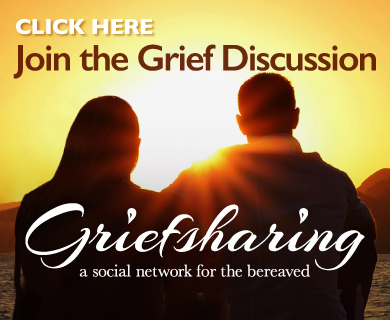 Mrs. Coughlan, Cathy, Geoff and Len – Please accept our deepest condolences. I will remember your Dad as one of a few larger than life fathers in the St. Pius X neighbourhood. While he had no reason to know who I was, he did. He was always very kind and pleasant when I’d see him, often at the rink where he was a legend amongst the other parents. I am picturing him and his pal Mr. Frank O’Grady who both always took the time to talk to us, usually about sports, and have a few laughs. God bless Mr. Coughlan. such a sad time for you all. I do hope happier memories will help you through this difficult time. I was very sorry to hear of Len’s passing. Lots of found memories of summers when the O’Driscolls would be in Newfoundland and we would all get together. It is a passing of an era. He will be missed. I was very sad to learn that Len had passed. of hockey playing with St.Bon’s and his many other athletic achievements. I sure got more than one school holiday because of Len and his great team mates. love was for his family and for God. He has gone home now where he joins a legion of family and friends gone before him. Do not be sad or mourn to long over his death which we all must face but be happy for the wonderful life he lived and the family he so deeply loved. Take care of yourself Beth and your family as well. May he R.I.P and the Sacred Heart of Jesus shine upon his soul. Our days of living on Torbay Road will always be one of the most the cherished memories of my own life. God is called the Father of tender mercies and the God of all comfort, who comforts us in all our tribulation. Thus, no one better than him, understands the depth of your pain and can help you cope with your disquieting thoughts. (John 5:28, 29; Psalm 37:29) May you get the strength and inner peace you need in the coming days. The site jw.org can bring more solace. With all my sympathy. My Uncle Len was a very SPECIAL person… he had such a wonderful sense of humour, he was caring, kind, and loving… spending time with with him was always an enjoyable experience… No one could tell a story like my Uncle Len!! I will miss him very much… I was blessed to have him in my life. I send my love and heartfelt sympathy to my Aunt Betty, and to Leonard, Kathy, and Geoff, and their families. May your cherished memories help to bring you some peace and comfort during this time of sorrow… You are all in my thoughts. Thinking of you Betty at this sad time. Len ,Michele & family ,Our condolences to you on the passing of your dad . We are so sorry for your loss.I found Len to be a great lover of the outdoors,and I have fished with him several times.He was a great friend of my father in law Reg Gulliver,and they had many fishing trips together.May he Rest In Peace. Lots of memories of your father. So sorry to hear about the passing of Mr. Coughlan, It was only last week after Aunt Gerri’s passing that we were looking at the old photos albums and saw the pictures from up in the cabin (there was one in particular of my mom, Aunt Gerri and Mrs. Coughlan were all trying to learn how to drive the dirt bikes on the road – lots of good times). Our deepest condolence to all of you and will keep you in our prayers during this difficult time. Rhonda and I are away and are deeply saddened to learn of Len’s passing.Len and my dad (Cec) were such great friends and enjoyed their many fishing trips together.Our sincere condolences to both you and your family. I was very saddened to hear of Uncle Len’s passing yesterday and I want you to know I’m thinking of your husband and father. The O’Grady family have known the Coughlan’s our whole lifetimes. Len, Betty, and the children were fixtures at our house as they were like blood relatives to us. Len was always a pleasant man and always had great stories to share. Every conversation I had with Len always ended with a smile on my face. He was probably the best storyteller(there are many) that I had the pleasure to listen to. Though I didn’t have the pleasure to watch Len as an athlete, I know that he was a great athlete and from what my father said to me one of the best athletes that St. Bon’s ever produced. I remember Dad saying to me that everyone knew how great a hockey player Len was with the St. Bon’s and St. John’s teams; but he was also a great track and field athlete and on the soccer field Dad said he could dominate a game both on the ball and off it. I remember when my father died(about 20 years ago to the day) and Len stood up and said to all the guys gathered at Dad’s bedside “We’re all having one for Frank!” Len, I’m having one for you tonight! I know that Dad is delighted to see you in heaven. God Bless You Len Coughlan! Auntie Betty, Leonard, Kathy and Geoff….Billy and I send our love at this very sad time. Sorry we’re not able to be there on Friday. Will be thinking about you. Uncle Len was a kind, gentle man and will be sadly missed by all. Geoff, so sorry to hear about your father’s passing. Thinking of you, Elizabeth, the kids and your family. So sad to hear the news of Len’s passing. I am in Georgia, but hope to be home to attend the funeral on Fri. Thinking of you all at this very sad time! Your wonderful memories will be a great comfort in time.